Society puts many expectations upon Schools. And it is easy to lose sight of the reality that effective Learning is the CORE purpose of schooling. Certainly schools can and do accept responsibility to support a whole range of ancillary social and community goals. 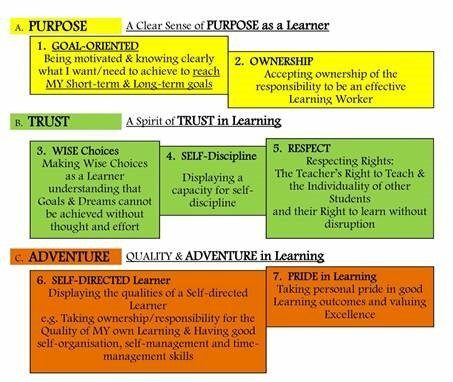 But the constant risk is that it is also easy for those sorts of things to overwhelm our core purpose – good Student Learning. Students attend HSC to achieve good Learning and there is an unremarkable and not-contested finding of educational research that has been known for many decades. Namely, that one of the key influencing factors determining success in Learning is the amount of engaged time actually spent on good Learning. Simple but true! HSC’s quite unique Responsible Studentship Process is focused upon supporting Students and Staff to maximize Student Learning outcomes. HSC seeks to promote good Studentship which is paramount to shaping an effective life-long learner. At HSC we have a clear understanding regarding what ‘Effective Studentship’ looks like and we encourage our Students to make a commitment to the 7-attributes of good Studentship.